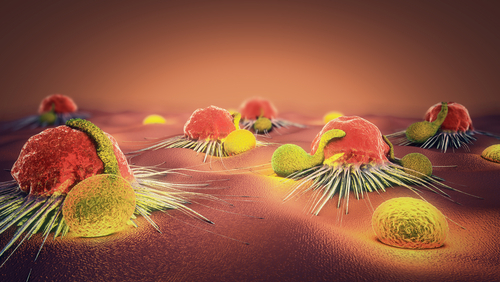 Older melanoma patients respond better to the anti-PD-1 immunotherapy Keytruda (pembrolizumab), according to new data from a multinational study. Researchers are attributing these differences to a reduced immunosuppressive tumor environment in older patients. The study with these findings, “Age Correlates with Response to Anti-PD1, Reflecting Age-Related Differences in Intratumoral Effector and Regulatory T-Cell Populations,” was published in Clinical Cancer Research. T-cells, the killers of our immune system, have a kind of “off switch” that prevents them from being overactive in the body. When the PD-L1 molecule on healthy cells interacts with the PD-1 receptor on T-cells, it basically tells the T-cell to leave the other cell alone. Some tumor cells are able to produce these ligands to evade being detected and killed by T-cells. Anti-PD1 immunotherapies were developed to block the activity of the PD-1 receptor, so that cancer cells fail to evade T-cells. Although these anti-PD1 checkpoint immunotherapies are able to keep melanoma under control for long periods of time, its effect was never studied in an age-dependent context. To investigate if the response to anti-PD-1 therapies depends on a patients’ age, a multinational trial involving eight institutes worldwide was undertaken. The trial enrolled a total of 538 patients (238 younger than 62, and 300 people 62 or older) with primary or metastatic melanoma who received the anti-PD1 therapy Keytruda. Researchers found that 50 percent of the patients younger than 62 responded poorly to anti-PD1 treatment, compared to only 37 percent of the patients 62 or older. And the older a patient was, the less likely he was of progressing while receiving Keytruda. “Our current study showed that for each decade of life, patients with melanoma had a 13 percent lower chance of having a negative outcome following anti-PD1 immunotherapy,” Ashani Weeraratna, PhD, said in a press release. Weeraratna is the Ira Brind professor and co-program leader of the Immunology, Microenvironment and Metastasis Program at The Wistar Institute in Philadelphia. Investigators also noted these findings were independent of patients’ gender or prior treatment with MAPK inhibitor (MAPKi) therapies. Investigators then turned to mice with melanoma to study the relationship between the aging microenvironment and the response to anti-PD-1 immunotherapy. The results from the animal studies were similar to those obtained with melanoma patients, with the younger mice (eight weeks old) being less responsive to anti-PD-1 treatment compared to older mice (52 weeks old). These findings also were independent of the number of tumor mutations, since all animals were implanted with genetically identical tumors. Data revealed significant differences in the immune microenvironment of the two groups of animals. Indeed, older mice had less FOXP3-positive Tregs — a subpopulation of T-cells that are essential to prevent excessive immune reactions — compared with younger mice. Interestingly, treating young mice with anti-PD-1 together with anti-CD25 (an antibody that reduces the numbers of Tregs) normalized the response of these animals to anti-PD-1 treatment to the same levels seen in older mice. 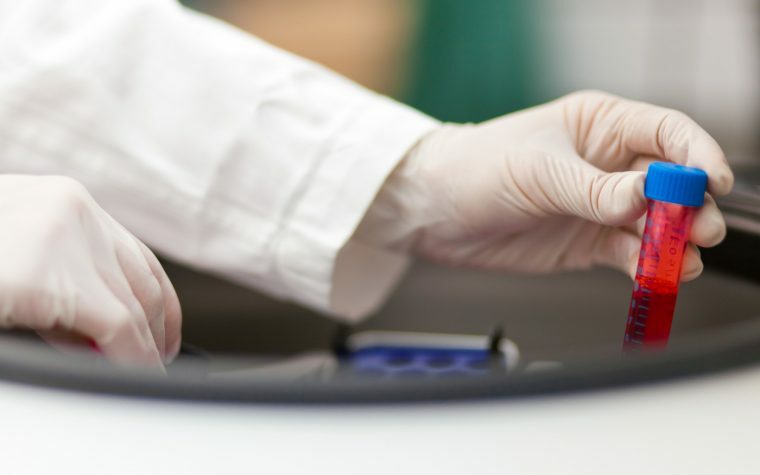 “Researchers conducting preclinical studies should ensure that the age of the mice reflects the age of the patients the treatments are intended for, as these studies form the basis for drug development and human clinical trials,” Weeraratna noted. Going back to human subjects, Weeraratna​’s team also analyzed primary and metastatic melanoma biopsies from another group of 268 patients and found the same FOXP3-positive Tregs were decreased in patients older than 50. Tagged age, anti-PD1 immunotherapy, Keytruda (pembrolizumab), melanoma, T cell. Is there any data to suggest Keytruda could be beneficial in helping brain cancer patients.